The Riverside Police Department’s Sexual Assault – Child Abuse Unit is asking for the public’s assistance in locating Domingo Juan Andres, a suspect in at least two sexual assaults involving 12-year-old and 15-year-old females. One of these sexual assaults occurred in 2015 near the intersection of Grove Avenue and Woodbine Street, in the Eastside neighborhood of Riverside. The other assault occurred in 2016 near Rutland Park in the 7000 block of Rutland Avenue, in the Arlanza neighborhood of Riverside. 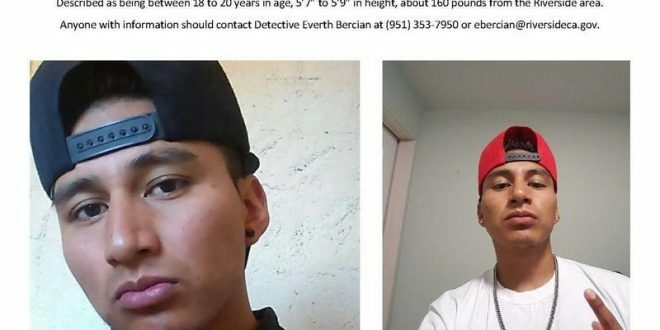 The Riverside Police Department is asking anyone with information of Domingo’s whereabouts, or any other possible victims to contact Detective Everth Bercian at (951) 353-7950 or ebercian@riversideca.gov.